We're sad to see the Summer coming to a close, but we're ending it with a bang this Thursday, 8/25, at David Barton Gym's end of summer bash. It's a block party with free classes, including yoga, wellness goodies, and meditation provided by your's truly. It's free but registration is required. Come join us! Thank you to all who attended our breathe bar circles, to Sarah Baker of Balanced Babe and Owen + Alchemy for hosting, and to Marilyn Joy for our meditation instruction! We look forward to hosting more in the future. In the meantime, Savannah, of Owen + Alchemy, shared a tip with us for a great wellness treat - chia seed pudding. 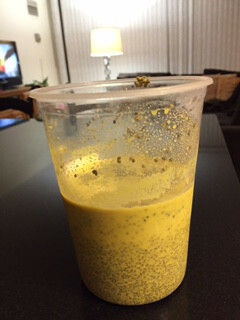 Soak 1/4 cup chia seeds in 1 cup Owen + Alchemy juice (we especially like #57 with raw almonds/cashews/ginger/turmeric) overnight until it gels into a pudding. Yummy! Speaking of treats, a big congratulations to our partner and friend, Debbie Wood, purveyor of awesome granola snacks and decadent desserts, on the official launch of her company, No Denial Foods. Since we're all about spreading compassion to make the world a better place, we'll be sharing news, events & tips to support your meditation practice and enhance your well-being. 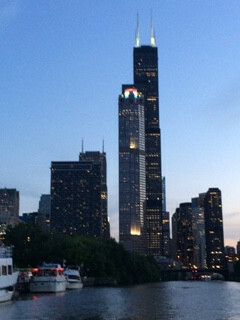 You can start by attending the Tea & Sit at Shambhala Chicago - West Loop tomorrow at 7pm. It's a great intro to mindfulness meditation. Speaking of wellness, have you heard about Arianna Huffington and Thrive Global? What do you think about her latest venture? Have any tips to share? We're all ears. Contact us at info@mybreathebar.com. We recently read Mallika Chopra's (yes, the daughter of Deepak) book, Living with Intent. The thesis is that you can manifest what you pursue with INTENT:(Incubate->Notice->Trust->Express->Nurture->Take action). To get started, she suggested this letter-writing exercise- directions below. Put pen to paper and let's have a letter opening party in February 2017!